The O-2 Skymaster is a military version of the Cessna 337 Super Skymaster and was originally used as an observation and forward air control (FAC) aircraft. The United States Air Force (USAF) commissioned Cessna to build a military variant of the 337 in 1966 to supplement the O-1 Bird Dog which at that time was the primary FAC aircraft. 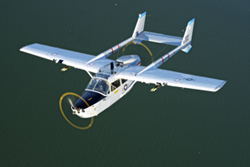 The first flight of the O-2 prototype occurred in January 1967. Production soon followed and the first deliveries were made to the USAF in March 1967. The O-2 is distinguished by twin tail booms and tandem-mounted engines. The engine & propeller arrangement make flight operations easier due to centerline thrust. Twin engines also allowed the O-2 to absorb more ground fire and still return safely, endearing it to its crews. A total of 532 O-2s were built in two variants for the USAF. The O-2A was equipped with wing mounted hard points as well as additional radio equipment and served as a FAC aircraft. O-2A(s) identified and marked enemy targets with smoke rockets, coordinated air strikes and reported target damage. The O-2B(s) were converted Cessna 337(s) equipped with loudspeakers and a leaflet dispenser for use in the psychological warfare operations role. Da Nang Air Base, Vietnam in November 1967. While in the 20th TAAS, it flew many hazardous combat missions and received damage from ground fire; most notable are: Christmas Day 1967, .30 caliber bullet hole through right wing tank; March 9, 1968 .30 caliber bullet hole through left outboard wing flap; April 2, 1968 six shrapnel holes in right rudder and stabilizer, small hole top of left rudder, hole in bottom of rear engine cowling, right window cracked, hole in top of right outboard flap; October 23, 1968, .50 caliber bullet hole through left vertical stabilizer. After serving in Vietnam, 67-21334 returned stateside, serving with various units until being retired in February 1992 and released as surplus. The Cavanaugh Flight Museum added 67-21334 to its collection in 2012. The aircraft is painted in the colors and markings it wore during its service in Vietnam with the 20th Tactical Air Support Squadron. 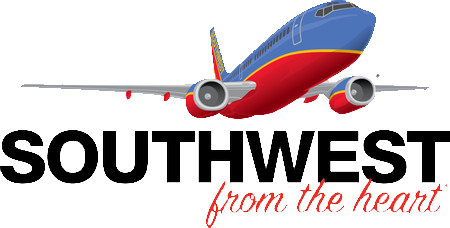 Click here for information on how you can take a ride in this historic warbird aircraft.